you get paid some amount of money “Affiliates Commission” . 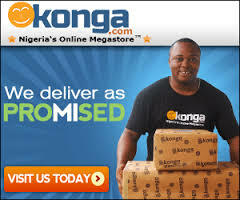 There is almost no strict procedure to making sales with Konga affiliates and getting started all you have to do is sign up for the program, and enter the required space and submit your request after which you wait for their approval. 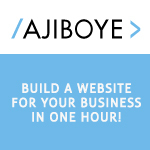 You will need to fill in your Website/Blog to promote your affiliate products while signing up. Click Here to Sign up for the Konga Affiliates Program. Note: Konga pays affiliates via Bank Wire Transfer so ensure to correctly fill in your Bank Details while signing up for the program. After you might have accept their Terms and Condition, click sign up. Check your Email Inbox and you will see konga notification telling you ” Welcome to Konga Affiliates” and after which konga will manually review your application and choose to approve or decline your request. If you want to promote Konga Deals on your Social Media accounts like facebook page and twitter account then you might just enter your Social Media link in the website space while filling the sign up form, now I assume you have been approved! On approval you will receive another mail congratulating you on your approval and this mail will contain your Username “email” and the Password generated for you by Konga, You can login and edit your personal profile in your konga dashboard and also change your default password. This is where some affiliates make mistakes that leads to poor conversion but in this article I will be making it clear enough. 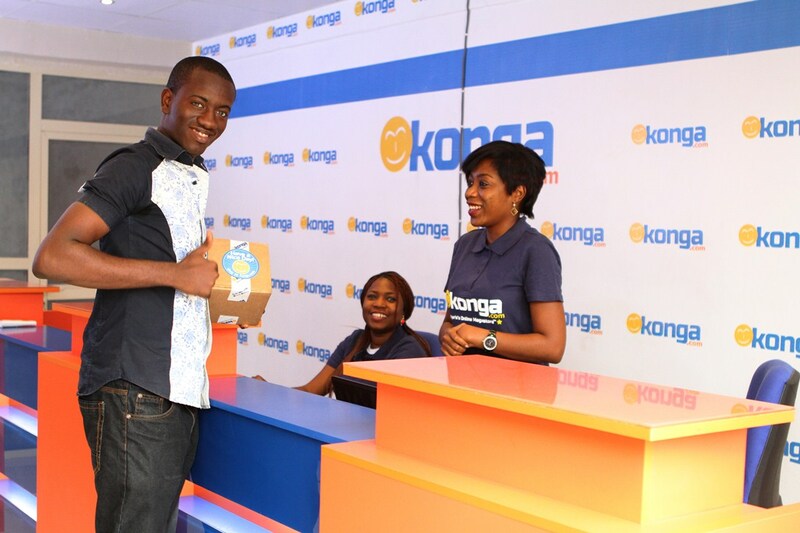 There are few ways you can promote a Konga product, for bloggers you can write product reviews or promote via PPC programs such as Google Adwords, Addynamo or even Social Media PPC campaigns even if you don’t own a website. This is yet another way you can make money online with Social Media. 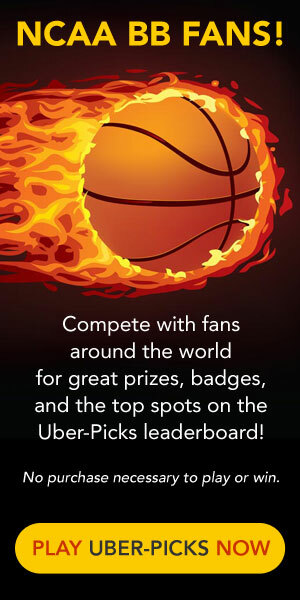 So let’s get started with how to set up Konga Affiliate Program, how to create affiliate links for products, how to create or write a product review that converts and any other useful information on how to be successful partaking in Konga Affiliate Program. 1. Sign Up: The first step to getting started with Konga Affiliate Program is to sign up with the program. The sign up process is quite simple, simply click on the “Becomean Affiliate” and fill the sign up registration form. Carefully fill the form providing the accurate information where required. Provide your website/blog URL but if you do not own a website or blog you can use your social media account and remember to specify your website/blog type. Your commission will be paid to you via “Bank Wire”, so ensure to correctly enter your payout information and accept the “Terms and Conditions” and click the “Signup” button to complete your sign up. Usually you will receive an email from Konga congratulating you for joining the Konga Affiliate Program. Konga will manually review your application and approve or decline your application. They often approve registrations if you have a website/blog or a good social media influence if you are using your social media profile as your site. On approval another email will be sent to your with your affiliate login details and login URL from your affiliate manager. 2. Editing your Profile: The next thing to do is to login to your Konga Affiliate dashboard and edit your personal information. You can then change the default password sent to you here to something you can easily remember. 3. Creating Affiliate Links for Konga Products: This is where most bloggers find it difficult, but I will teach you an easier way of creating affiliate links for the Konga products you want to review/promote. There are several ways you can create affiliate links for Konga products, either by using the Banner & links or DirectLink URLs. I prefer the later and I will teach you how to create a DirectLink URL so you won’t have to create affiliate links every time you want to promote a Konga product. 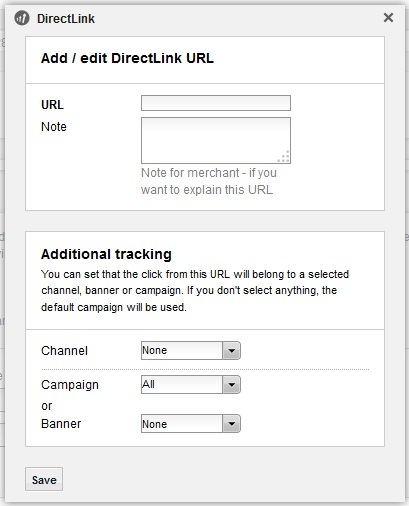 So when you go to “Promotion” and choose “Campaigns”, you will see Banner & Links, DirectlyLinks URLs, Ad Channels, AffLinkProtector and Reports under the Quick navigation Icons. For now we will only be interested in Banner & Links and DirectLink URLs for now. 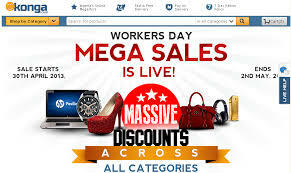 Banner & Links – When you click on Banner & Links you will see an already made banner and links ads created by Konga for the various categories of products they sell. 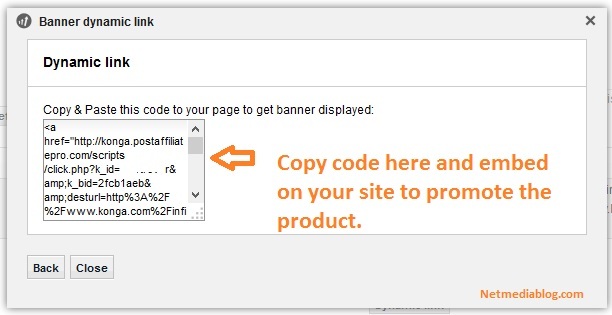 Clicking on the “Get banner code” will reveal the ads code you can copy and embed on your site. You can switch between normal and direct link versions though. 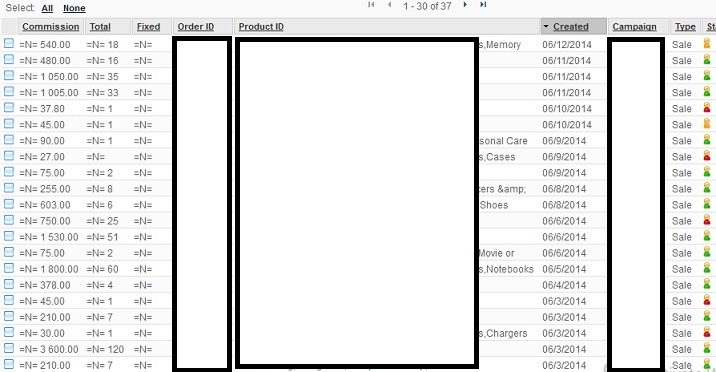 You can also create a “Dynamic link” for specific products by first copying the URL of the product you want to review. Let’s say you want to review the Infinix Joypad 8S and the URL is http://www.konga.com/infinix-8s-black, copy the URL and click on Dynamic link under any banner or link campaign you want and paste the URL on it, click the “Get code” button to generate a script you can embed on your site to get the banner displayed. You can sort the type of ads you want to embed on your site on the Banner type section by un-checking the ones you don’t want and clicking the apply button to filter. This process is a little bit complicated for people; I struggled with it for awhile until I discovered even an easier way of creating my Konga products affiliate links. DirectLink URLs – The DirectLink URLs is a way of using the product URL as your affiliate link throughout your website. You don’t need to generate any dynamic links, just choose any product you want to promote from Konga website, copy the URL and link to on your site. 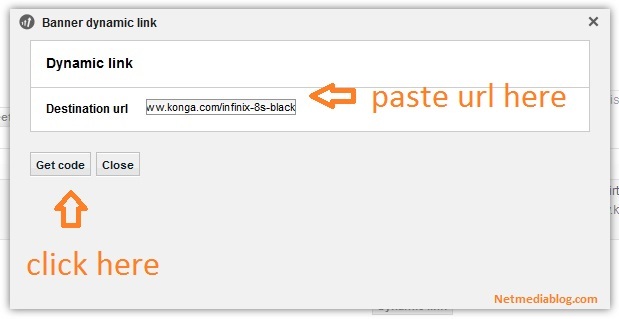 It’s that simple; in a case where you still want to promote the Infinix Joypad 8S, all you need is to link to the URL http://www.konga.com/infinix-8s-black directly on your site. But to be able to do this, you must apply for a DirectLink URLs on Konga affiliate Program, if your site is approved you can now use product URLs as their affiliate links. From the Quick navigation Icons mentioned above under Promotions, click on the DirectLink URLs. Click on the “Add URL” and enter your URL using the star convention pattern *yoursite.com*, for example if your site is netmediablog.com, enter *netmediablog.com* on the URL field and save. Once your site is approved, you can then use product URLs as your affiliate link. Using the DirectLink URLs has several advantages. Visitors won’t know they are clicking on an affiliate link and they won’t have to damage or remove your affiliate parameters from a link before making a purchase so you will lose your commission. When this is done, the next will be how to review products to make a sale. In this article I will be concentrating more on writing product reviews and driving sales. 4. Promoting Konga Affiliate Products: Apart from using PPC campaigns to promote Konga affiliate products, one can simply write reviews to drive sales. A well written review can drive hundreds of sales but the problem is that many people do not know how to convince someone to buy their products. Your reviews must have a good and convincing sales pitch to it. You have to inspire/provoke someone to buy a product after reading your product reviews. Here are some of the tips you must apply on your product reviews to inspire someone to buy the product so you can earn your commission. c. Show the buy now button at least in two places within the review preferably after the first or second paragraph and on or before the last paragraph. Style it to stand out from the normal text, if possible use a subheading on it. d. Specify/highlight the necessary part or specifications of the product and tell people why it is the best to buy. 5. Commissions and Payouts: Konga pay different commission percentages for different categories of products. So depending on the category of products you promote you can earn different percentages of commission. Fashion products earn 9% while Electronics and Home & Kitchen products earn just 3%. This shouldn’t be your criteria for choosing a product to promote. Ensure whatever products you promote matches your niche. You can’t be a tech blogger and be promoting fashion products, I am not saying you can’t I am only saying you shouldn’t. Ensure to promote products that naturally match your site niche, that way you won’t provoke your audience. If you are a tech blogger you can conveniently integrate tech products promotion such as mobiles, computers and other electronics with your blogging without making it obvious to your audience you are trying to sell them a product. Konga Payout threshold is in 10k, 15k, 20k, 25k and 30k. You may want to choose the 10k payout threshold for a start so you won’t have to miss payment even when you have made over 10k on your commission pause. Konga affiliate payments are made on the second Friday of the new month after you have met your payout threshold. So if you chose 10k payment threshold and you made 10k commission for the month, you should be expecting your payment on the second Friday of the next month. Remember to enter your bank account details on your profile page to receive your commissions when it is due. I hope I have made Konga Affiliate Program easy to understand and follow. 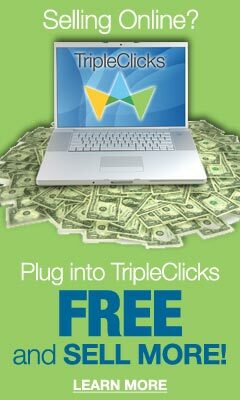 Now you can start making money from your blog other than from adsense alone. While others are writing product reviews, you should be writing why you should buy this or that product and earn money convincing people to buy Konga products. If you are not promoting Konga Products then you have been missing a lot. If you have any challenge or questions you may want to ask me about Konga Affiliate, please use the comment section below. Your contributions are also welcomed.